Volleyball club faculty advisor of the Karasuno High School. 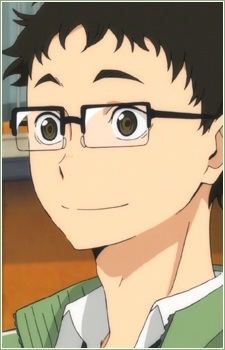 Takeda is inexperienced in volleyball, but still became an advisor for Karasuno. He often doesn't understand rules and that's why takes notes about every new thing he learns. Takeda has enthusiastic and brave personality.